What’s the Top Benefit of Co-Working Spaces? Coworking spaces are membership organizations that provide shared space for people to start or grow a business. Some spaces have offices or suites that can be rented out, but many facilities have an open floor plan with tables and desks in one room or several rooms. Desktop computers are available in some locations, but in general, people bring their laptops and work independently. We are tech-focused and all of our members are somehow linked to the technology industry. Common professional background opens up the possibility of mutually beneficial partnerships with other co- workers at Divine coworking-space. 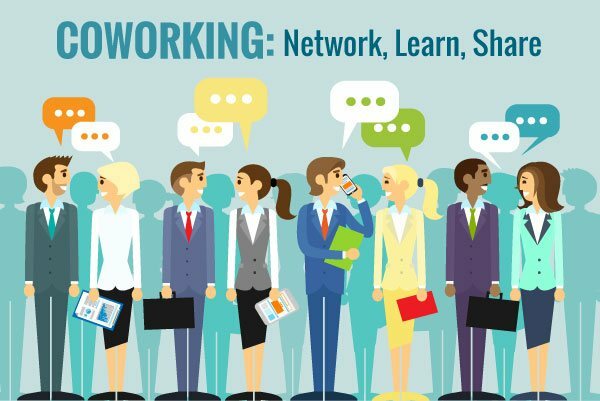 We regularly organize and take our members to the events that serve to fill their knowledge gaps and also provide an opportunity to network..
Divine Co-Working office space offers a vibrant environment unlike the traditional office. Plus everyone around you will be working very hard making you want to work harder. Private meeting areas are also available for brainstorming sessions and team meetings.